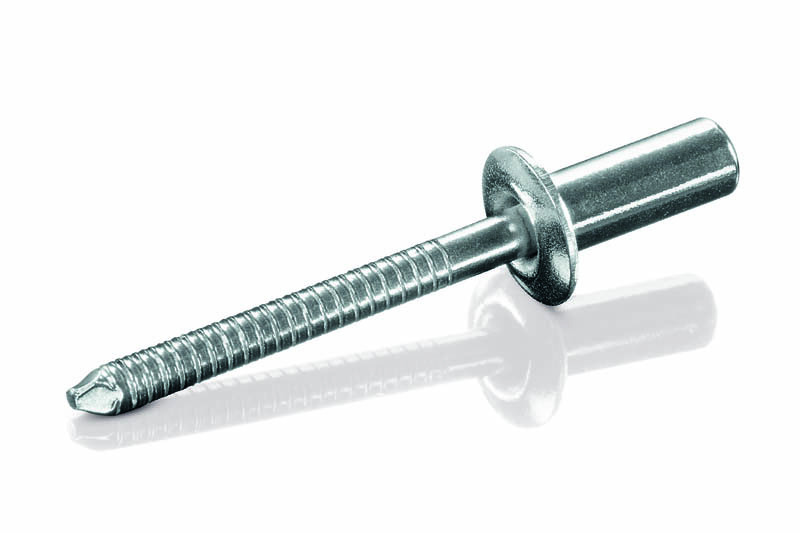 BS Stainless are proud to supply closed seal rivets and also the revolu­ti­onary 100% water tight version that includes a special extra seal manufactured from 316 (A4)­ stainless steel and duplex stainless 31803 see below video for how these perform against a conventional rivet. Our rivets are widely used in oil and gas applications from tanks, vessels, pipework to offshore rigs. The CUP sealed blind rivets are made of 316 stainless steel for the body and the mandrel from 318L Duplex and tested to demonstrate 100% waterproof. To show how they compare we have a video that uses the same size of stainless steel rivet produced in the most popular type of blind rivet, these are widely used for metal cladding and jacketing for pipelines and tanks in the oil and gas industry. The video clearly shows the water seeping through the traditional blind or pop rivet, yet our closed cup rivet remains 100% waterproof with up to 1 metre of water. This is key especially in offshore applications were water ingress can easily lead to crevice corrosion resulting in failure of the system and expensive replacement. By combining Duplex with 316 / 1.4401 stainless steel this gives the strength to improve the seal. Other companies have tried this with carbon steel but the left over material quickly causes corrosion. As a result of these development many future on and offshore projects are expected to propose our closed cup waterproof stainless steel rivet. These have now been used in a wide range of industries to prevent water ingress and in some applications can also help with smoke or gas ingress.